Here is a website I developed for a local bed and breakfast. The site evolved into much broader experience incorporating information not just on the B & B but on the farm itself and the local area. 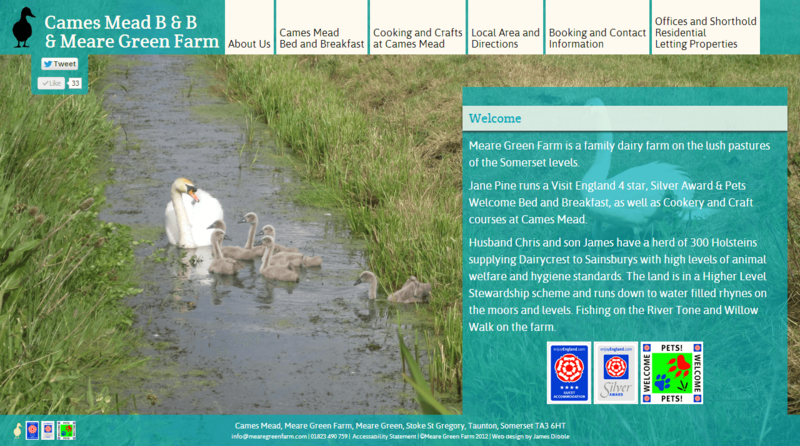 I developed the site using ASP.Net Webforms and it was my first extermination with HTML 5.I came across several problems while developing the site due to the hosting company Meare Green Farm had chosen. I really would discourage using Namesco their customer service is terrible and their servers are horribly out-dated!